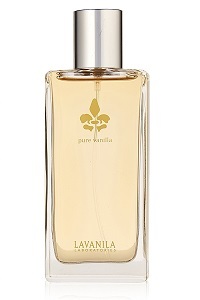 Lavanila's collection of all-natural fragrances is luxurious and addictive. Each fragrance starts with a warm base of Madagascar vanilla and layers on a unique blend of pure essential oils for an exquisite expression of nature that capture a mood, a memory or a moment in time. Hailed as the World’s First Healthy Fragrance, organic sugar cane alcohol is infused with skin saving antioxidants for a modern twist on the classic art of perfumery. Alcohol Denat (from Organic Sugar Cane), Botanical Fragrance Blend, Deionized Water, Lycium Barbarum (Goji) Powder, Terminalia Ferdinandiana (Kakadu Plum) Fruit Extract, Epilobium Angustifolium (Canadian Willowherb) Extract, Olive Leaf Extract, Alteromonas Ferment Extract, Chamomile Extract, Oat Amino Acids, Glycerin (Vegetable), Vanilla Planifolia.